Follow us on Facebook for more details and to keep up to date with the latest news. Join us these April Holidays for loads of FREE FUN at Primewest Southern River! 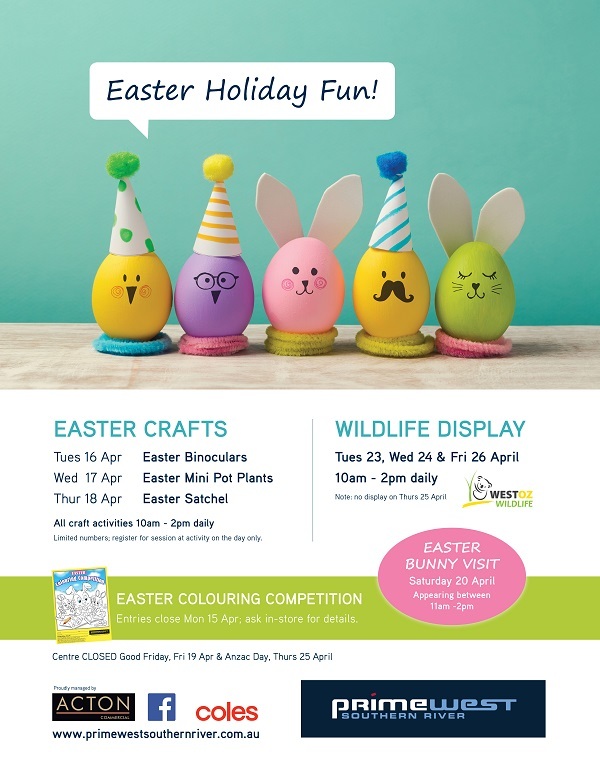 We also have an EASTER COLOURING COMPETITION for the kids - entries close Monday 15 April 2019. See our competition page for full details. 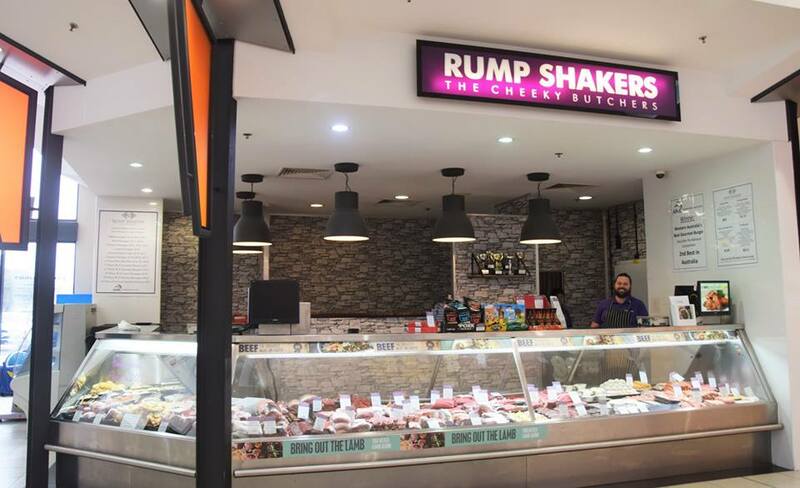 Rump Shakers butcher have recently refurbished their store and have a bright new look behind the counter and all their award trophies out on display! Your favourite local cafe, Tribeca & Co has now been open at Primewest Southern River for a year! Gluten free, dairy free and other dietary requirements available. They also take coffee orders via text on 0413 754 889. Like them on Facebook to keep up with their latest news and offers. Did you child enjoy our Slime activity during the April school holidays? To have some more SLIMEY FUN at home with your kids, you could try making this easy Mess Free Glitter Slime Recipe, thanks to Kindercraze.com. It only has 3 ingredients and its also safe for kids! We have a dedicated Casual Mall Leasing space available for hire to promote your business or service. Enquires about mall space for community displays by local organisations, not-for-profit groups or sporting clubs may be made directly to the centre. Click here to contact us by email for community displays.